HAPPY SEPTEMBER & LABOR DAY! WE ARE CLOSED TODAY - BUTTT!!! Hickory Hill Quilts is going to have a little fun! It begins TOMORROW, Tuesday 9/4. We will exhibit all quilts 12/3 – 12/14 giving everyone two weeks to come in, see the exhibit and vote for people’s choice! We will have a Christmas party at HHQ (date TBD) to reveal the winners!!! 1st Place is a $350 gift certificate at the shop. 2nd Place is $250 gift certificate at the shop. 3rd Place is $100 gift certificate at the shop. The Jubilee Collection Fabrics must be highlighted in the quilt. 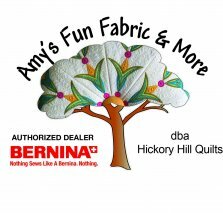 They are on our web site for on line sales under Fabric All - Bernina Jubilee. All participants must complete a lap quilt (approximately 60X60 or total l+w=120”) or larger for judging and return it to the shop prior to 11/30. 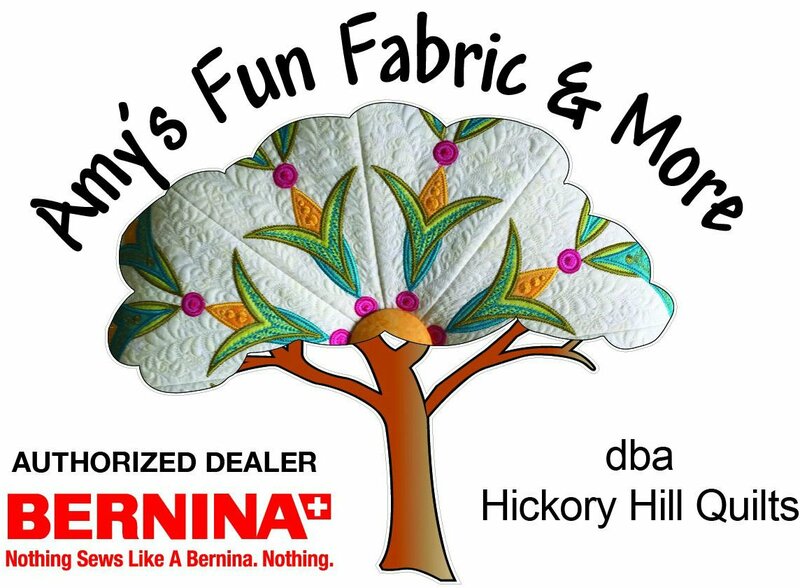 Other fabrics can be introduced into the quilt, but focally – it’s all about the Jubilee and Bernina’s 125th Celebration. This is my first challenge – so any comments and suggestions are welcome!